Vitamin B6 is one of the 8 vitamins included in vitamin B complex. Vitamin B6, like all B vitamins, have an essential role in physiological functions—such as turning the food you eat into usable energy. 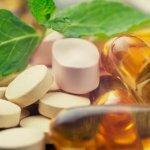 In recent years, research and use of vitamin supplements have been on the rise. People are looking for ways to improve overall health and find the energy they need to get through the day. The B vitamins are an essential factor when it comes to reaching health goals. Diseases and illnesses—such as diabetes, heart disease, and depression—impact people’s daily functionality…therefore, prevention is vital. It is worth taking a closer look at the vitamins in your diet, to see if there are gaps that could be closed with supplements. Vitamin B6 is involved in almost 200 enzyme reactions within your body. And if you are deficient in B12 and folate, the likelihood of a deficiency in B6 is higher. Most people get enough vitamin B6 from the food they eat, but deficiency can more common in those with liver, kidney, digestive, or autoimmune diseases—as well as women who are pregnant. Seborrheic dermatitis– a skin condition that causes scaly red patches—usually on the scalp face, upper chest, or back. It can be itchy and cause hard to treat dandruff. Cheilosis- dry, cracked lips that become painful and may bleed or become swollen. Glossitis– an inflammation of the tongue that appears glossy. If B6 is the sole cause of glossitis, the vitamin treats the issue. Vitamin B6 aids in the synthesis of collagen, which means a deficiency could lead to various skin conditions. Deficiencies of other B vitamins are also associated with these conditions. Mood changes– Deficiencies in Vitamin B6 are associated with mood changes such as irritability, depression, and anxiety. Vitamin B6 is involved in manufacturing neurotransmitters, like serotonin and gamma-aminobutyric acid (GABA), in the brain. The said neurotransmitters are involved in mood regulation. Low energy– People that experience vitamin B6 often report feeling tired. In some cases, the tiredness can be linked to anemia because of B6’s active role in making hemoglobin. Vitamin B6 is associated with the sleep-hormone, melatonin. Therefore, another possible reason for tiredness from B6 deficiency. Frequently getting sick– Those who have an autoimmune disease need a supplement with B6. Vitamin B6 deficiency may reduce the body’s white blood cells—T cells, which regulate immune functioning. As a result, autoimmune disease sufferers are more susceptible to getting sick. An increase in vitamin B6 could help the body fight off germs and illnesses. Pain and tingling in hands and feet- A condition called peripheral neuropathy is caused by nerve damage, which results in pain and tingling in the hands and feet. New research is being conducted on the role of B6 for autism mood regulation. Vitamin B6 is already being used to treat the symptoms of behavioral issues related to the mood of an autistic individual. “Vitamin B6 is beneficial for about half of autistic individuals in decreasing behavioral problems. However, until now, it remains unknown why vitamin B6 is effective for this disease. Although the exact pathogenesis is not defined, it is evident that certain neurotransmitter systems are impaired in the brains of autistic patients, causing the symptoms observed in the disease. “In fact, impairment of many neurotransmitter systems have been reported, including GABA, serotonin, dopamine, and noradrenaline. 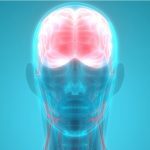 Furthermore, vitamin B6 is important for the synthesis of many neurotransmitters, including GABA, serotonin, dopamine, noradrenaline, histamine, glycine, and d-serine, indicating that vitamin B6 supplementation may enhance many neurotransmitter systems. Vitamin B6 helps the body maintain a healthy nervous system and has even been used to fight anemia due to its role in manufacturing hemoglobin. It is one of the vitamins that is involved in the process of turning carbohydrates, fats, and proteins from the food you eat into usable energy. It also helps in blood sugar regulation, and creates antibodies that your immune system uses to fight against diseases and illnesses. The health benefits of vitamin B6 join together with Dead Sea Moringa’s other 90 nutrients, 12 vitamins and minerals, 46 antioxidants, 18 amino acids, and a high concentration of all nine of the essential amino acids. These nutrients work together to strengthen your mind and body. People have a number of reasons to get healthy, stay healthy, or prevent illnesses. Whatever your goal is, know that the nutritious leaves of the moringa tree are one of the best ways to give your body what it needs. Dead Sea Moringa is more than a single vitamin supplement. See for yourself how this multivitamin, mineral, amino acid, and antioxidant supplement can give you the boost you need for better brain health, heart health—and so much more. What Is in Vitamin B Complex and What Are Its Benefits?